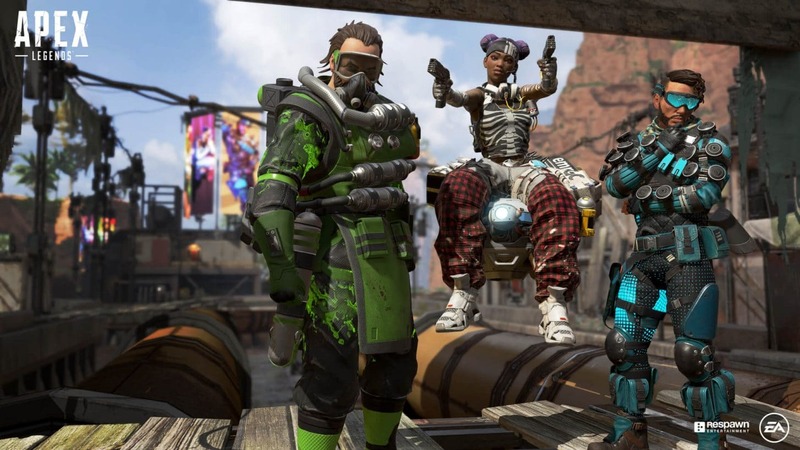 It has only been three days since Respawn Entertainment dropped Apex Legends on us without any major marketing and it is already proving to be a humongous hit and a real game-changer for the battle royale market. While Epic’s Fortnite is still the king of the battle royale genre, I would say that it is not always to sit in that throne. 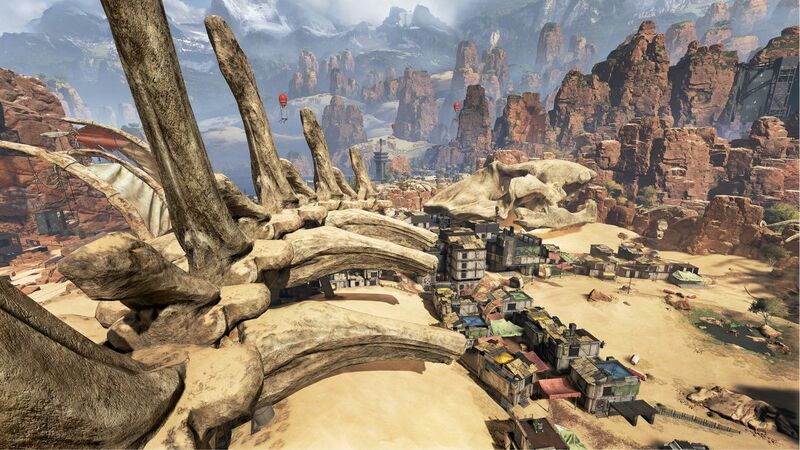 Titanfall developer Respawn Entertainment has developed a formidable contender to the popular free-to-play title with its own take on battle royale in Apex Legends by merely allowing it to be a beast of its own that serves a far cry from the Fortnite mold. This ultimately proves to be its greatest strength compared to the weekly challenges, cheesy story, shallow world, and limited opportunities to provide players with an intriguing storyline provided by Fortnite. From the incredible visual fidelity to its more diverse environments I found it rather hard to become unplugged from Apex, even if I tried. This is supported by the game’s futuristic setting which takes place in the Titanfall universe and 30 years after Titanfall 2‘s story, which means that the game does not utilize the mechanized suits of armor that the franchise is known for. It is a change that seems to not really bother fans, even if they so desperately wanted to pilot some Titan armor again and one that makes it easy for the game to liberate itself from the cliche Fortnite comparisons that every battle royale game ends up receiving. Instead, Apex Legends serves as a more gladiatorial game where you are dropped into a dystopian arena with different biomes as a “legend” who wants to have their name inscribed in history as champions. 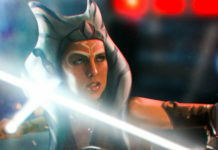 It is an idea that is introduced to players via the game’s tutorial and an opening cinematic. This is the first time a battle royale title has ever received any exposition or semblance of story that explains why the events of the game are occurring and gives it some much appreciated rhyme or reason compared to the likes of Fortnite, PUBG,or Call of Duty’s own battle royale mode, Blackout. This is something that can make these game worth being interested in and the lack of story is why my cynicism towards the genre’s viability and durability has been so extreme until now. Now I see that there is perhaps a way to change that if more companies took notes from Respawn in how to develop an effective battle royale game. However, Apex Legends isn’t completely original in every regard and that is to be expected because it is a battle royale game and their formulas all overlap in some areas. The game has not lost that hyper-realistic aesthetic from its predecessor titles and has mechanics akin to what Treyarch was able to do for Call of Duty: Blackout. The way the game’s loot system is set up is particularly reminiscent of the AAA shooter’s own spin on Fortnite‘s formula. Apex also owes some of its formula to Blizzard’s Overwatch. Like Overwatch, players are able to choose from a set of characters with their own unique style, abilities, and gadgets. One particular character, or Legend named Lifeline has the ability to summon a gadget that heals players near them much akin to Soldier 76. Pathfinder is another Apex character who shares some similarities to Overwatch‘s Widowmaker. Both of them can fire a grappling hook that gives them a better view of the arena and get out of sticky situations when enemy players try to take them down. The game also utilizes loot boxes like Overwatch, which are unlocked just by playing the game and leveling up. These loot boxes contain special character skins, weapon cosmetics, character banners, taunts, and numerous other free features for the game. Pathfinder is a character who can grapple out of tricky situations. Now while Apex’s system of microtransactions and characters is similar to Overwatch, it couldn’t be any more different. Instead of following the more cartoonish and whacky tone as set by Fortnite and Overwatch, the title pursues a more gritty science fiction tone and remembers what franchise is belongs to which is a good thing. It shows that the developers are comfortable with letting the game have an identity of its own instead of emulating what is already out there and providing for a generic or stale experience. This is a common mistake that I feel a lot of developers that are now adding battle royale modes into their projects make and its why they’ve never been able to take off and rival what Blizzard and Epic have been doing for a few years now. Therefore, while Apex Legends does have some expected overlap, it couldn’t be further from the established mold thanks to its ties to the Titanfall world. The remarkable thing about Apex is how effective it is at establishing investment in its target audience long before they even fly out of their drop ships because you can tell that Respawn cared about this project enough to give these characters some personality while also expanding on a celebrated franchise. None of these characters or the world they live in feels shallow like the standard Fortnite, PUBG, and Blackout characters. 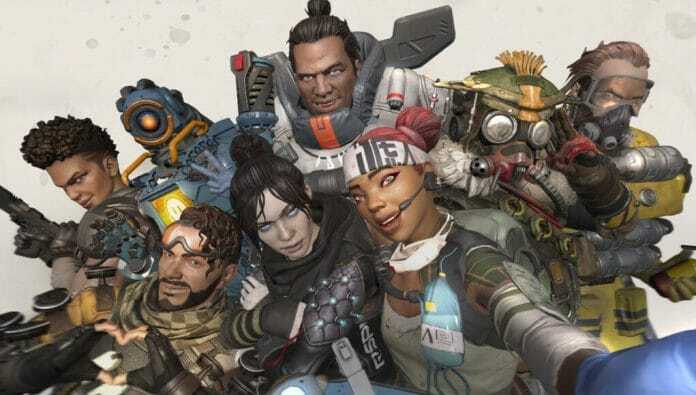 You actually want to play as them and hopefully get more backstory surrounding them as Apex‘s life-cycle continues to extend into what I can only hope is for decades. Before players even get deployed into the Apex arena, they are brought to a loading screen where they and two other members of their team are expected to either select their character or just allow the game to randomly pick one for them. 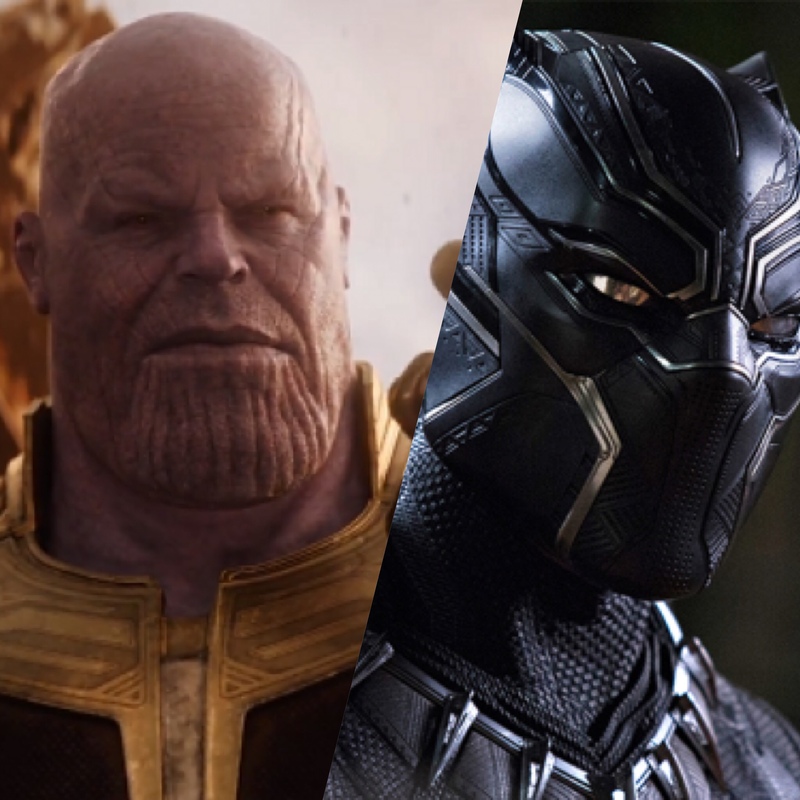 Right now there’s only eight characters so players don’t have a lot to be a picky about, but that is sure to change in the coming months. Once they’ve selected their Legends, the 3-player teams will be deployed into the world via a dropship and one of the team mates who acts as the “jumpmaster” will guide them to land wherever they see fit. Of course if players want to get to the ground faster then they can just press the appropriate button on their console or PC and break free from the team formation or go AWOL. One of the unique biomes of the Apex Legends arena. While players could easily play this game solo, I do not think that’s the best option. At least if you want to enjoy what it has to offer, that is. Apex has a well-designed communication system that heavily encourages players to work together to survive a round instead of going for the free-for-all route. This communication system works well for players who may or may not have a mic by allowing players to help their teammates find items they may need by “pinging” an item which causes them to shout out what they found or set waypoints for where the rival squad that’s shooting at them is coming from. It is an unprecedented feature that we’ve never seen before in online games and it is a much appreciated solution for players who feel left out because they can’t really enjoy these types of games without a headset and microphone. It also alleviates the stress felt by those who do have headsets and microphones who try to communicate with the teammates who aren’t really able to. It is a win-win for everyone. Between the amazing high definition fidelity, gritty science fiction tone, intense soundtrack, and amazing communication system, I would say that Apex Legends is a huge game changer for the battle royale market and is one that has been desperately needed. The only downside to the game right now is its limited variety of game modes and team capacity, which has paid off well for Fortnite. Right now the game only allows for teams of three in a 60-person round which means that there are 20 squads running around competing for survival. Comparatively, Fortnite has been able to create modes that allow for up to 50 vs 50 player battle modes, standard squad matches, and even free-for-all. Hopefully Respawn is listening to this criticism and expands the variety of modes because that would certainly improve the experience exponentially. I am confident that Respawn is going to do great things with Apex Legends and is going to provide consumers with a really special and innovative “live-service” title, despite whatever flaws it may presently have right now. They have already made their commitment to this idea clear by publishing a road map on launch day so additional modes, maps, characters, and bug fixes will certainly be on the way very soon. Like Fortnite and Overwatch, I think Apex Legends while still a very new game is gradually going to become the new face of the battle royale market and it will be better for it. The gaming industry which in recent years has slowly been moving towards the “live-service” model may also be influenced positively by what Respawn has offered with this new game and hopefully they’ll take all of the right lessons from its success. 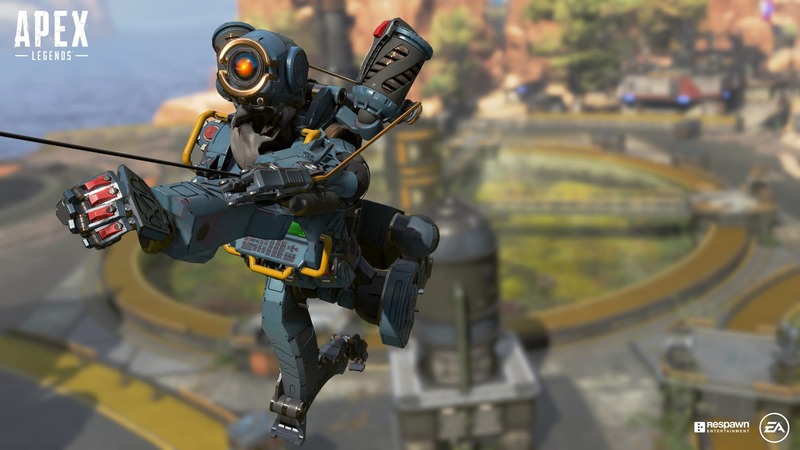 Apex Legends is free-to-play on PC, Playstation 4, and Xbox One. What do you think of this review? Do you like Apex Legends? Let us know in the comments below!